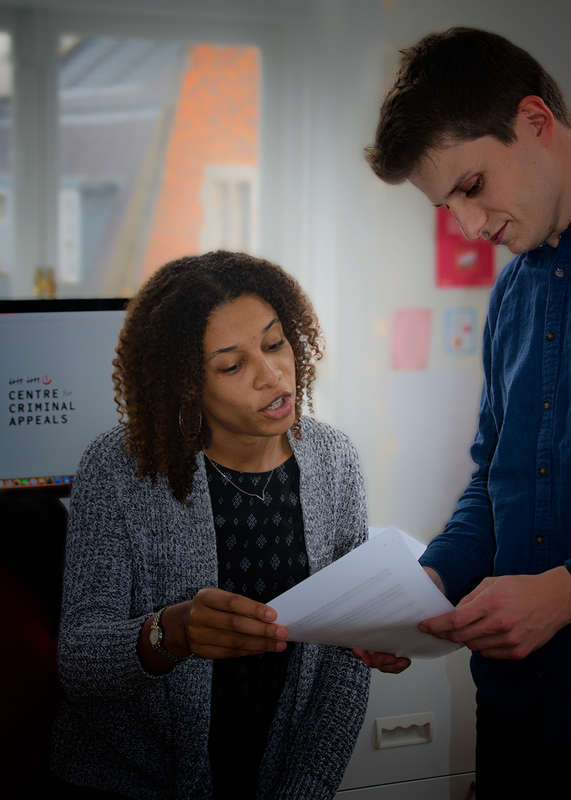 Join the Centre for Criminal Appeals' small but dedicated team of lawyers, advocates and investigators! We currently have no open vacancies. Please check back regularly for advertised opportunities. The Centre's work is supported by the help of fantastic and dedicated volunteers. CCA volunteers help directly with our cases, support intake and screening, help us to create comms content and do background research on cases. We ask for a minimum commitment of a day of week for three months. Volunteers must be able to work within normal working hours to allow suitable supervision, and travel to our London offices. In exceptional circumstances, we may consider remote working. Regrettably, we are unable to cover volunteer expenses, as we are a small, under-resourced charity. However, upon successful completion of placements, references can be provided. Please note that all volunteers are required to sign non-disclosure agreements. We do not currently have any volunteer opportunities at the Centre. Please check back on this page or keep an eye on our Twitter.